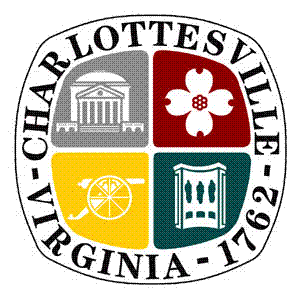 A footnote to the City of Charlottesville’s courageous passing of a resolution this week asking Congress to move money from the military to human and environmental needs, rather than the reverse, was the cowardly abstention of Mayor Mike Signer from the vote. I don’t always agree with the other four city council members on everything, or even know enough to have an opinion on much of what they do, but they have all repeatedly been willing to stick their necks out for things they apparently care about for moral reasons. Even Council Member Kathy Galvin, who in my view marred Monday’s resolution by adding to it some nonsense about U.S. troops fighting to protect you and your rights (even as we’re poorer and have fewer rights with every new war started and never ended) believed things had gotten so bad she would vote aye. Bob Fenwick and Kristin Szakos had the courage and decency to speak against war and military spending, and Wes Bellamy — who has never been afraid to speak on anything — publicly challenged the Mayor on his abstention and the apparent hypocrisy in it. Signer had previously declared Charlottesville a “capital of the resistance” to Trump. But when an opportunity arose to ask Congress to resist Trump’s agenda, Signer weaseled out of it. What were Signer’s reasons? They were not what he told us. Szakos had explained publicly at Monday’s meeting and at the meeting two weeks earlier what the City Council’s policy was on passing resolutions on issues larger than Charlottesville. Signer claimed on Monday not to know about that policy. Clearly he hadn’t wanted to know about it, or he would have looked into it during the past two weeks. He declared on Monday that passing a resolution on a national issue would open the door to an endless string of them. So he abstained. And then, within five minutes of the 4-0 vote without him, he joined in a 5-0 vote for a different resolution urging Congress to fund the Department of Housing and Urban Development — a resolution that did not mention the military but opened the very same door that Signer pretended to be in horror of opening. Signer’s objection was that military spending does produce some jobs, as if the assertion had been that military jobs are not real. Had Signer bothered to ask for guidance he would have learned that the point, rather, was that military spending produces fewer jobs than tax cuts (as well as many fewer jobs than other types of spending). It’s literally worse than nothing economically (as well as morally, pragmatically, etc.). But if Signer’s stated reasons for abstaining were transparent nonsense, what were his real reasons? Why would he blissfully ignore Martin Niemöller’s famous quote, read to the Council by Adele Roof? At first glance, one might say that he was courageously defying public opinion, as if anti-democratic stances are noble. Most of the people in the meeting on Monday stood when I asked for a show of support. National polls show support for the position taken in the resolution. But Signer, I suspect, has a different constituency from the other City Council Members. And I don’t just mean his deference to those who funded his high-end campaign, and whose taxes he is so eager to lower (and those in need be damned). I mean that Signer clearly has ambitions for higher office, and he has them within the terminally corrupted Democratic Party. The elite in this party milk rhetorical opposition to Trump for all it’s worth but would clearly prefer 8 years of Trump to replacing him with anyone resembling Bernie Sanders. The elite in this party and their funders are steadfastly speaking against budget cuts to social programs while refusing to mention even the existence of the U.S. military. This inept “resistance” is what led a Trump fan to stumble into Monday’s meeting and declare his opposition to big gummint, despite the fact that Trump’s budget proposal proposes the same size government as last year. How would anyone know any different, with the people Signer aspires to join denouncing cuts rather than opposing the moving of money from everything decent and good to the military? When the Titanic was going down, the band continued to play music, and a handful of political ancestors of our mayor maneuvered to get themselves front-row seats for the concert, contented grins on their faces.